A trip to Starbucks on the way to drop his daughter off at school left a California man in shock. Johncarl Festejo, who recently retired from the Air Force, stopped at a Starbucks in Vacaville on Monday along with his 12-year-old, Milan. Feeling under the weather, he ordered a hot cocoa, along with a banana nut bread and mocha Frappuccino for Milan. Festejo used his first name on the app where he had ordered the beverages. But when the barista began to call out the order, that’s not what was said. 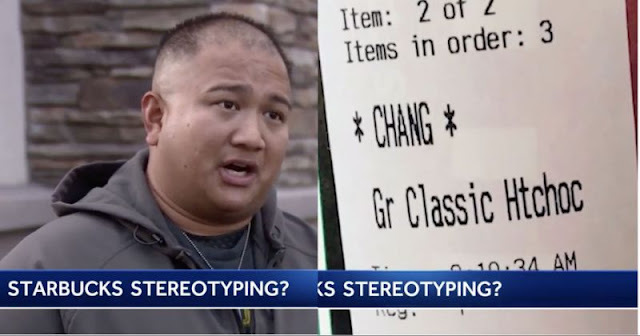 The barista repeated “Chang” two more times. “Then, I hear again, ‘Banana nut bread for Chang.’ I’m like, OK, probably the same order. Then, followed by that was the chocolate frap,” Festejo told KCRA. Recognizing his order, but not his name, Festejo approached the barista counter. The barista’s response was to “slightly snicker,” Fetejo told the news channel. Festejo’s daughter Milan was also confused by the event. The employee has not received any new shifts from the company, KCRA3 added. Festejo said he was particularly shocked by the incident since Starbucks employees recently underwent racial bias education following the arrest of two black men who were sitting in a Philadelphia store. Late Friday evening, Festejo posted the news article about the incident on the Vacaville Crime & Community Info Facebook page, along with a poignant post about learning from mistakes.